Project: Can we create a plant to remove excess phosphate from soil and water? The VT-REEL program started on May 21, 2018 with an all-day orientation (lunch provided), followed by a lab tour in Latham Hall. Other program-affiliated events included: a Memorial Day cook-out, hike to Cascade Falls, and tubing on the New River. The gallery below provides highlights of the summer. The Gillaspy Lab describes their work on the Latham Hall tour. Day 1 of VT-REEL summer 2018! A VT-REEL fellow prepping PCR samples. Dr. Frame discussing cotton production during the AREC tour. 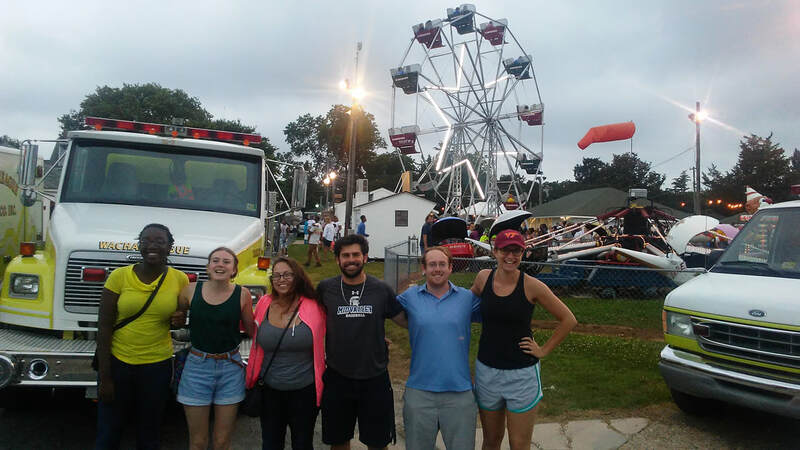 VT-REEL fellows at a local carnival on the Eastern Shore of Virginia. Some of the 2018 VT-REEL cohort at the annual peanut meeting. A VT-REEL fellow learning how to drive a tractor at the AREC.